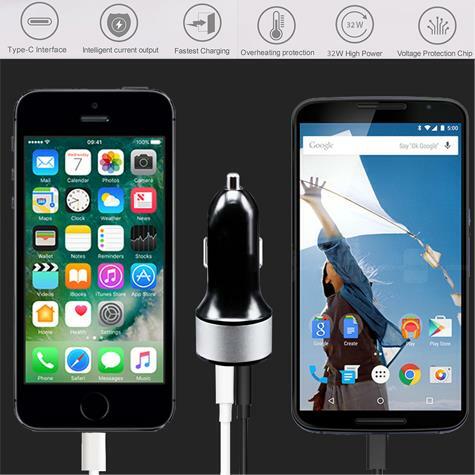 32 W PD Smart Car Charger Car Charger is a charging device with Type-C and Type-A ports. To support older USB-A and Type-C charging simultaneously. LifeCHARGE Smart Car Charger is also made for Type-C devices like MacBook, MacBook Pro, Nintendo Switch, Google Chromebook or other USB Type-C device aren’t a problem for this portable charger. Need to charge a cell phone, tablet, or iPad? 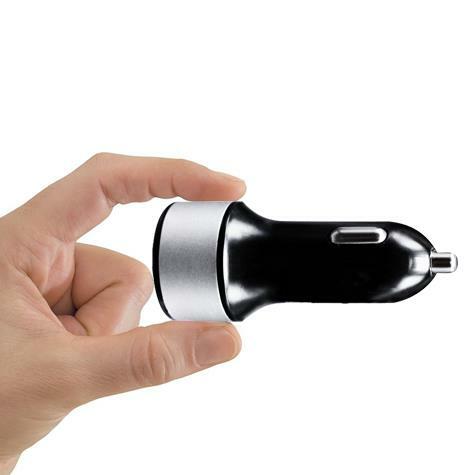 The USB-C PD Car Charger includes a USB-A charging port for low power consuming items to keep you going. Never go without power to your Type-C or A devices while on the road again. 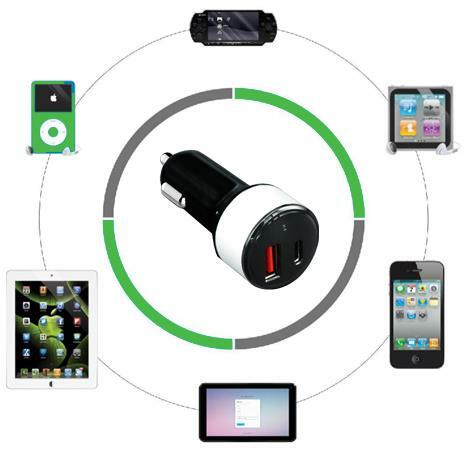 The Smart Car Charger serves as a power delivery source to your portable devices. The built-in PD chipset dynamically detects devices to deliver optimum power level for maximum battery life and performance. Made with Industry grade materials and equips with the advance circuit protections to prevent overcharging, overheating for safe and fast charging. Built-in LED light indicator helps to signify charge is ready to use. Enjoy the freedom to charge all of your family’s favorite mobile devices with a single Dual USB charger! Lightweight and easy to transport around; small enough to carry around in your pocket. LifeCHARGE Smart Car Charger intelligent circuit design protects against short circuiting, over-heating, over-current, and over-charging. 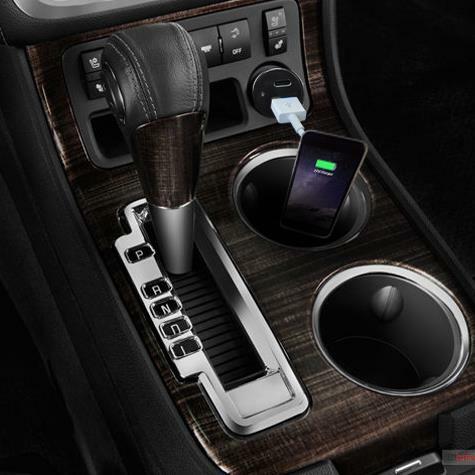 The car charger will automatically stop charging when the battery is full, to maximize the safety of your devices.